Wrapping up the regular season with a win would have topped off the Radford Women’s Soccer team’s season nicely, but an 87th minute penalty shot by Campbell University dashed that thought on Oct. 29. The Highlanders were left to head home and regroup before the Big South Tournament after falling to Campbell, 2-1. Sophomore forward Sahar Aflaki started the Highs off with a goal early in the 17th minute of the match. Aflaki had four of the eight shots on goal the team attempted, but was only able to connect with the net on one of them. She is, however, second on the team with five goals this year. Aflaki was assisted on the goal by senior midfielder Maryellen Derenda and sophomore defender Sydney Golden. With the assist, Golden tied sophomore forward Julie Ruh’e with a team high of five assists. The score remained 1-0 before the Fighting Camels struck with a goal at the 43rd minute mark. After Campbell’s Michelle Procaccini collected a loose ball at the top of the box, she was able to connect for Campbell to tie the score at 1-1 heading into halftime. The score remained the same until late in the game when things took a turn in favor of the Camels. Campbell started clicking on offense and, after only three shots in the first half, the Camels took 12 shots on goal. After a foul in the box at the 86th minute mark, Campbell’s Taylor Brown lined up to take the penalty shot and connected on the attempt to put Campbell ahead for good. The Highs could not make a comeback, however, and lost for just the second time in the conference this season. The Highlanders are now 13-5 overall and 8-2 in the Big South conference. Big South conference newcomer Campbell improved to 13-4-2 on the year and 7-1-2 in the conference. 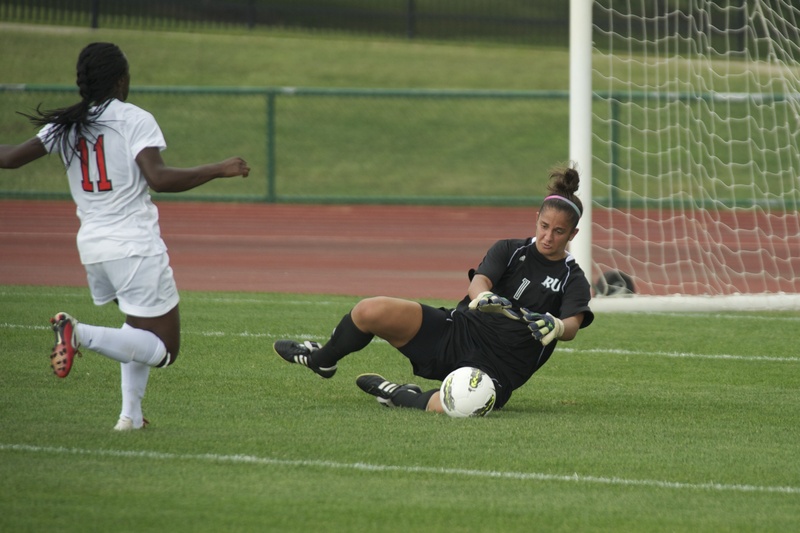 Sophomore goalkeeper Che’ Brown allowed two goals and totaled five saves in the match. Radford totaled eight shots in the game and after a slow start Campbell managed to fire 15 shots at the net in the contest. The Camels also led in corner kicks with seven, with the Highlanders only having two throughout the game. With the loss, RU now shares half of the Big South title with the Winthrop University Eagles, the No.2 seed in the Big South tournament. The Highs will start tournament play as the top seed on Nov. 3 against the No. 8 seed, UNC Asheville in a contest scheduled to begin at 2 p.m.